Renuka Travels is renowned Car Rental Agency in India offering luxurious Car Rental Services to tourists. 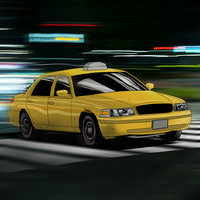 Being a reputed agency, we offer Taxi Booking Services in the most professional way. We provide Car Rental Services in India at most affordable rates. We provide all economic and Luxury cars. Our drivers are well mannered and co-operative and our constant effort is to provide best services to the customer at the most reasonable cost with a personal touch. We also provide all vehicles for conferences in all major cities. Car / Taxi Hiring Services in India is best acclaimed for their easy pick and drop facility to make your travelling comfortable. Amritsar, Ambala, Aurangabad, Ajmer, Alwar, Agra, Allahabad, Ahmadabad, Akola, Bhatinda, Bikaner, Bareilly, Barauni, Bhubaneshwar, Bilaspur, Bhilai, Bhopal, Bhavnagar, Bangalore, Chandigarh, Chandrapur, Cochin, Coimbatore, Chennai, Coimbatore, Dharamshala, Dalhousie, Dehradun, Dwarka, Dwarka, Gurgaon, Gulbarga, Gaya, Gwalior, Goa,Â Hissar, Haridwar, Hyderabad, Indore, Jammu, Jaipur,Jodhpur, Jamshedpur, Jalpaigudi, Jabalpur, Jamnagar, Jalgaon, Jalandhar, Kota, Kolkata, Katak, Koraput, Katni, Khandwa, Kolhapur, Kanchipuram, Kanyakumari, Ludhiana, Lucknow, Manali, Mussoorie, Mathura, Meerut, Moradabad, Muzaffarnagar, Mumbai, Mysore, Mangalore, Madurai, Nainital, New Delhi, Nasik, Nagpur, Nanded, Pathankot, Patiala, Patna, Puri, Pune, Panaji, Pondicherry, Ranchi, Raipur, Ratlam, Raichur, Rameshwaram, Srinagar, Shimla, Sambhalpur, Surat, Selam, Trivandrum, Udaipur, Ujjain, Varanasi, Vishakhapatnam, Vadodara.